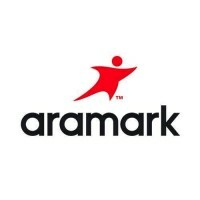 Aramark is a leading multinational company of food services in Argentina, which caters to industries, clinics and hospitals, schools and universities, and mining camps throughout the country. This means 75,000 services a day between breakfast, lunch and dinner to more than 45,000 people. Our company offers comprehensive services in remote areas, food, hospitality, cleaning, maintenance and recreation. In Latin America, Aramak has 30 years of experience, having delivered 300,000 services in Chile, Argentina, Peru and Colombia.